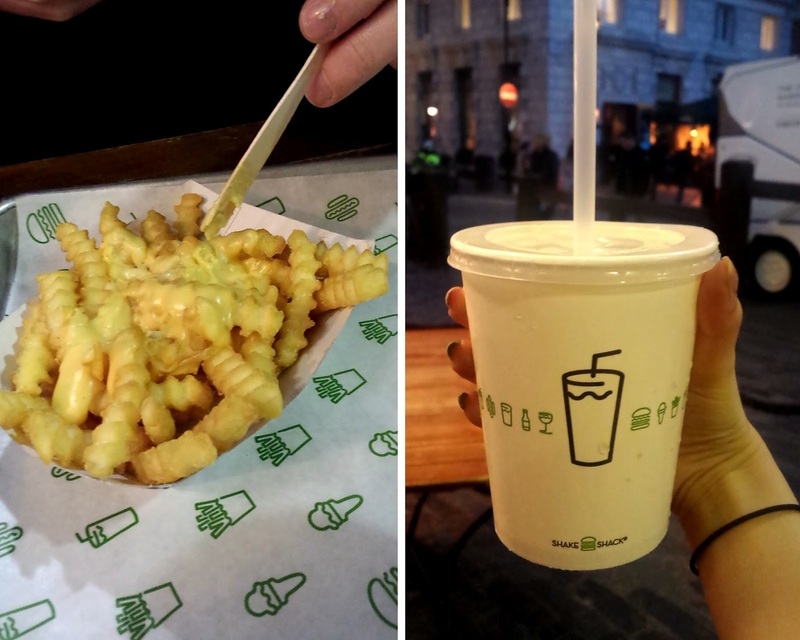 After what seemed like a very long week, Andrew and I popped down to the Shake Shack for a Friday night treat. 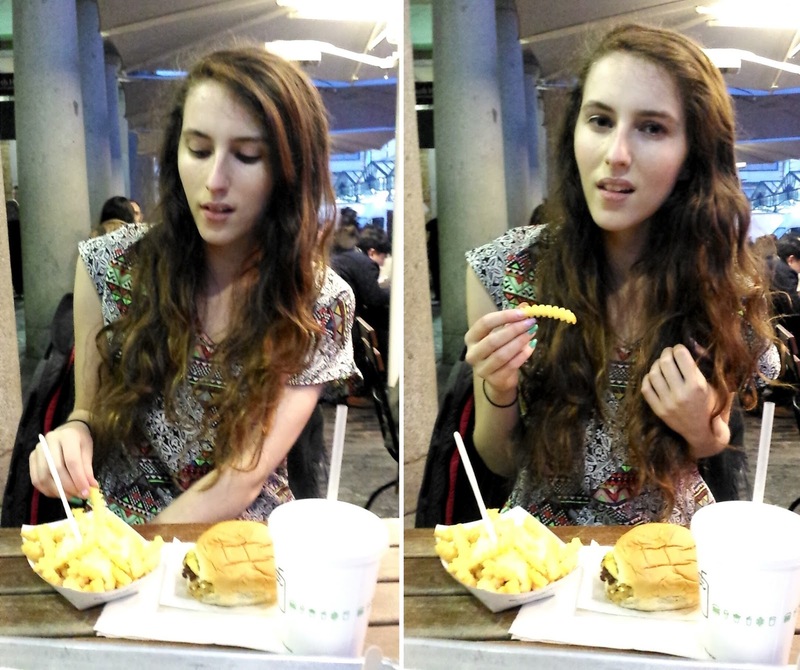 We had been invited along to try out the new ShackMeister Burger which is a permanent new addition to their menu. We also tried near enough everything else on the menu too haha. 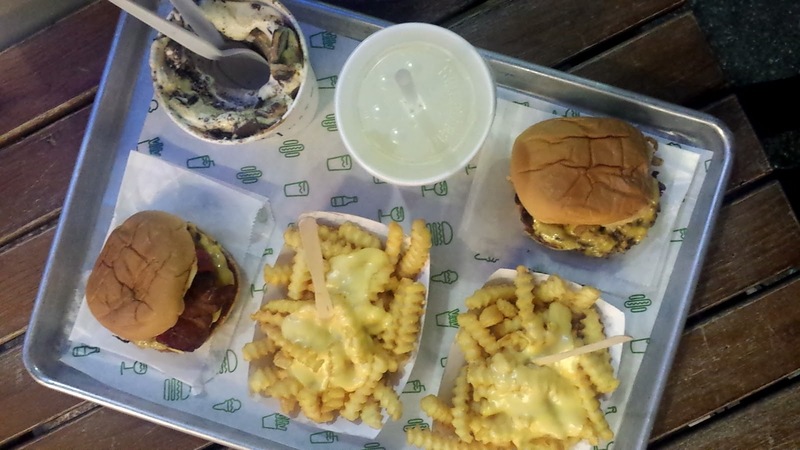 Of course I went straight in for the ShackMeister burger. 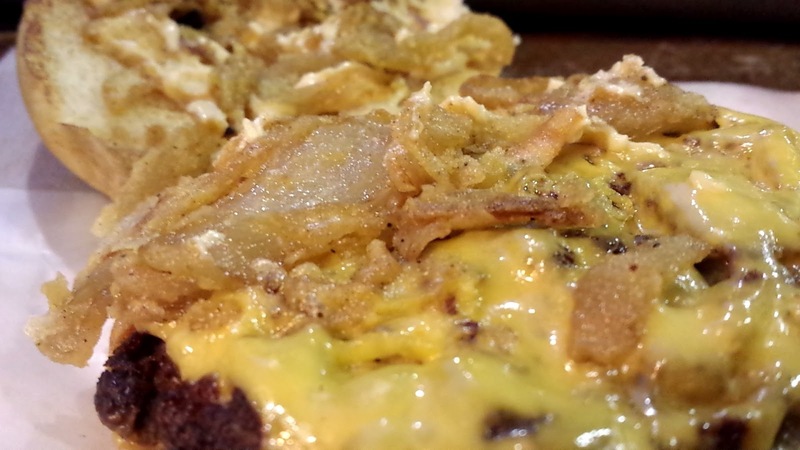 Anything with fried onions and I'm in! 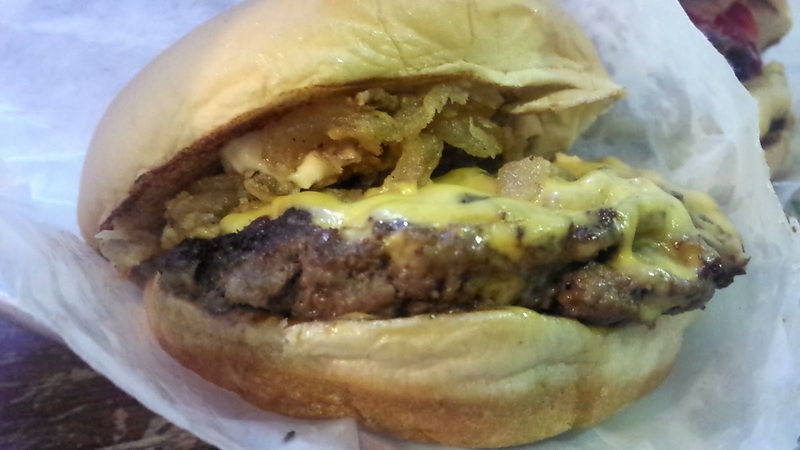 For £6.25 it consists of an Aberdeen Angus beef cheeseburger topped with crispy ShackMesiter shallots and ShackSauce. 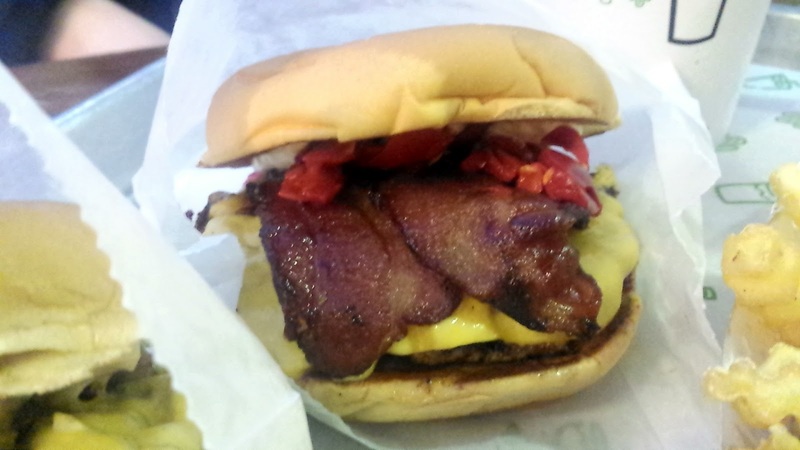 The ShackSauce is one of the reasons I love this place so much so this was the perfect burger for me. It was seriously good! Andrew went for the smokey burger which is definitely more his cup of tea, where I love onions on my burger, he loves bacon. As well as our burgers we both had a portion of their famous crinkle cut friends covered with cheese. So delicious. Washed down, for me, with a cup of their home made lemonade, oh so American haha, I really enjoyed its refreshing taste without the usual fizz. And for Andrew, a Shackmeister Ale. Of course, unlike Andrew, I couldn't leave without something sweet. The manager suggested their Sticky Toffee Concrete. This has become one of the best fast food desserts that I have ever had. 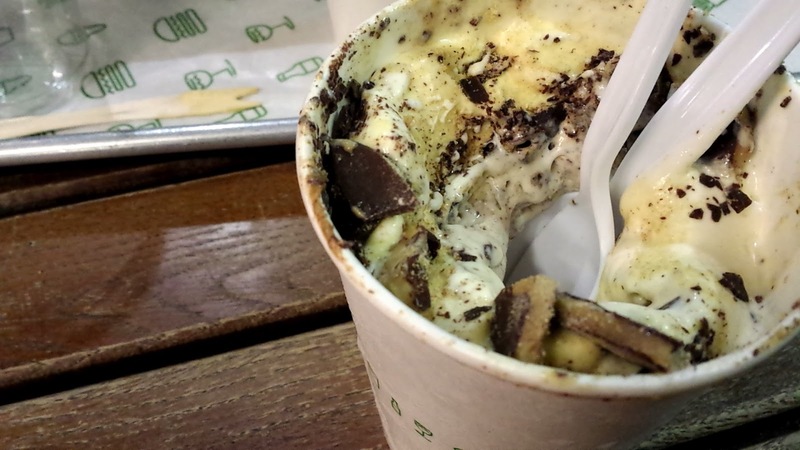 Concrete is a really dense frozen custard and they change the flavours every week. The sticky toffee one was full of caramel crunch pieces covered in chocolate and who knows what else but it was delicious! 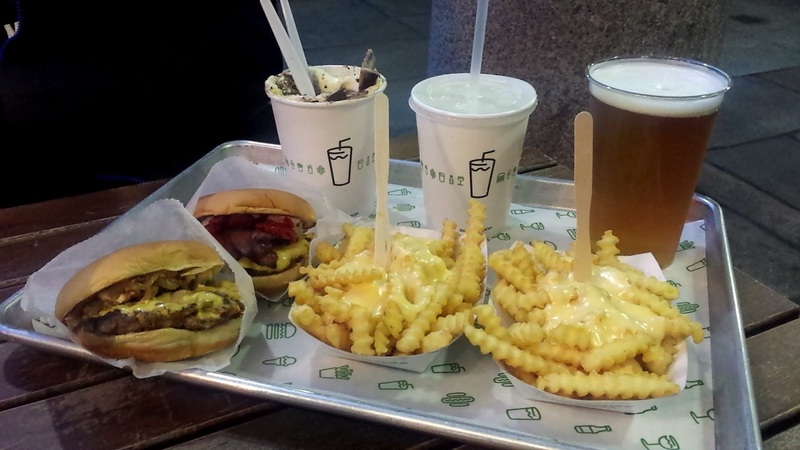 If you haven't been to the Shake Shack yet that I would suggest you make a trip there, you're missing out big time! This looks really good and I might give it a go next time I am in London. I tried Five Guys a few weeks ago and was disappointed so I haven't really been eager to try another burger chain.